1.) Skiing/Riding: Carve the mountains at one of the many world class ski resorts in Lake Tahoe. Try Northstar, Squaw and Alpine on the North Shore in California, and Heavenly or Sierra on the South Shore. 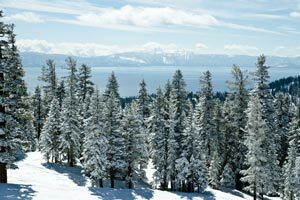 Not only does Lake Tahoe offer the best in the west, most of the hotels in the area offer incredible ski packages. Try Aston Lakeland Village in South Lake Tahoe, or Hyatt Regency in North Lake Tahoe. Both hotels offer ski/snowboard specials right now, so be sure to save on this winter’s trip. 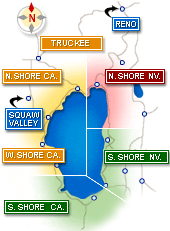 For a full list of hotels visit http://www.tahoesbest.com/hotels_resorts. 2.) Sledding: Revisit your childhood and zoom down the mountain on on saucer this winter in Lake Tahoe. The kids love it, and we know parents do too. For the best sledding in North Lake Tahoe visit Granlibakken Lodge, located just outside of Tahoe City. Hansen’s Resort in South Lake Tahoe is another great option. 3.) Ice Skating: Sip on a warm apple cider as you skate through one of the awesome ice skating rinks in Lake Tahoe. For ice skating in South Lake Tahoe try South Lake Ice Area, with public skating for $15. In North Lake Tahoe head to Squaw Valley’s Olympic Ice Pavilion. 4.) Helicopter Tour: In the winter? Absolutely as it comes with a heated cabin! There is no view more breathtaking than Lake Tahoe after a snow storm. Make it 10 times better by viewing from the sky! Lake Tahoe’s unparalleled natural beauty is best seen from sky-high heights. Reno Tahoe Helicopter Tours brings travelers on once in a lifetime tours, so see the winter wonderland from above and bring home memories to last a lifetime. 5.) Snowshoeing: Stomp around outside this winter and explore the Lake with snowshoes strapped on! Powder House offers snowshoe rentals, so hit the trails and find your way around the Lake while the powder sticks! Extra Bonus Tips - Eat, shop, walk, check out the Lake, drive the 72-miles around the Lake for the most magical drive in America!